BRONX NY, September 26 -- In the sexual abuse civil case pending against him in The Bronx, Dominique Strauss-Kahn now argues that he is absolutely immune under the 1947 Convention on the Privileges and Immunities of the Specialized Agencies. Strauss-Kahn acknowledges that the US is not a party to the Convention, but argues the courts in The Bronx are still bound by it in DSK's Memo of Law, obtained by Inner City Press and put online here. But it is also worth noting that the Specialized Agencies Convention says that "[e]ach specialized agency shall have the right and duty to waive the immunity of any official in any case where, in its opinion, the immunity would impede the course of justice and can be waived without prejudice to the interests of the specialized agency." That is to say, the IMF can and should waive any immunity that DSK is arguing for. DSK - will IMF now waive the immunity he claims? "the IMF can waive any immunity that is being argued for. 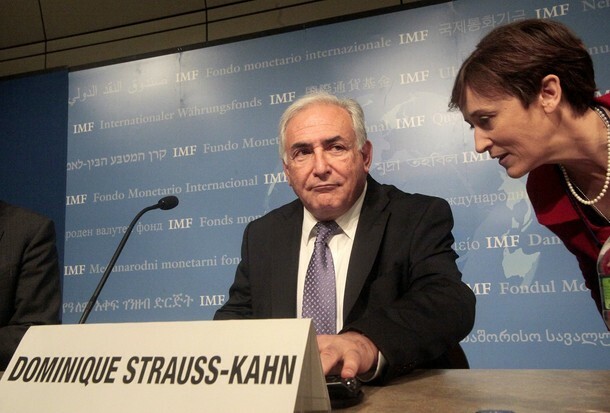 The question: will the IMF waive the IMF-based immunity for which Mr. Strauss-Kahn is arguing, or will the IMF shield him from the charges?"